Google keeps its ranking signals secret for the most part. It’s said there are over 200 different signals Google uses to rank pages. Some believe there are closer to 1000. As a business owner or webmaster, you cannot worry about 1,000 things for each page you publish on your website. But you can focus on the most important five. It is important to remember that Google ranks pages, not websites. As you’ll learn below, your site performance as a whole plays a critical role in how individual pages rank. But, for the most part, you have to think of each page as a separate entity, and devote time and effort to each new page. If you think back to your last site launch or redesign, your homepage probably got the most attention. You went through a couple different options for layouts and images. You edited spelling and fixed grammar mistakes. You had several people check links and make sure it all loaded fast. You tested everything on desktop and mobile. That effort is the same you should be giving any page you want to rank well. It is often the case that your homepage does not bring in the most organic search traffic. You could spend days, or weeks, perfecting pages. But that is not sustainable. Because your interior pages are usually the first place a visitor lands, you need to pay attention to the details of those pages. Have another set of eyes proofread it. Change the image that doesn’t look right. Double check every link. Make sure the page is loading quickly, and looks great on mobile devices. Spend some time writing an enticing title tag, and meta description for every page. This is the obvious one. Without content, you have nothing of value to search visitors. Content can be an image, a song, an answer to a question, a lengthy article, or just a words. Content can be any combination of these as well. Each page needs a purpose, and your content gives each URL on your site a purpose. With a purpose comes value for visitors. If you are unclear what value each page on your site brings visitors, it will likely not rank very well. Unless you have a ton of links. If you have focused your page to one topic, it shouldn’t be difficult to write a title tag and meta description. They should clearly represent what the user will get when they visit the page. Links are not all created equal. Read that one more time. And might as well read it again. OK, now we can move on. Links come from a huge range of places around the Internet. Social media, blogs, news articles, directories, apps, email etc. Think of each link as a referral for your business. Referrals build trust. And like referrals in real life, some links are better than others. Some are worthless, or can even have a negative effect coming from the wrong source. Links are still important and will continue to be. Period. But focus on building quality links, rather than spending resources buying or building random links. It’s all about the quality. There has been much debate recently about whether links are still the most important ranking factor. In several cases I have seen with new site launches, Google understands the intent of a search query, and it understands the page content. The content ranks well before receiving any links. So Google does not rely on links alone to determine a page’s usefulness and rank. When you create a new page, and it is a great representation of what Google thinks the searcher is looking for, you will be rewarded. The page will rank high in search results, even though the page or site has no incoming links yet. Again, this doesn’t mean to stop thinking about building links. But, you should be paying attention to serving visitors what they want, and the links will follow. Search Engines, including Google, understand language much better than we do. Gone are the days where you need to keyword stuff pages, or worry about keyword density or any of that nonsense. Often, you can now rank for search queries without having the words on your page at all. That doesn’t mean it’s recommended to not pay attention to keywords. Remember, each page needs a purpose. By covering a topic, or a range of keywords on a page, you can rank a single page for many different, related searches. Google’s AI, known as RankBrain, understands the intent of a user’s search. And not only that, Google’s algorithms understand the content on your page better than ever. So it is only a matter of matching the searcher’s intent to the purpose of your page. When you do this, searchers will find your site. Mobile first indexing has begun. Google has two search crawlers: one for desktops, and one for mobile. People browse the web more on mobile devices than desktops now, and Google has followed. It is no longer an option. Your site must work well on mobile devices. The same goes for speed and user experience in general. Your site not only needs to look good on mobile, but it must load quickly, and work well. 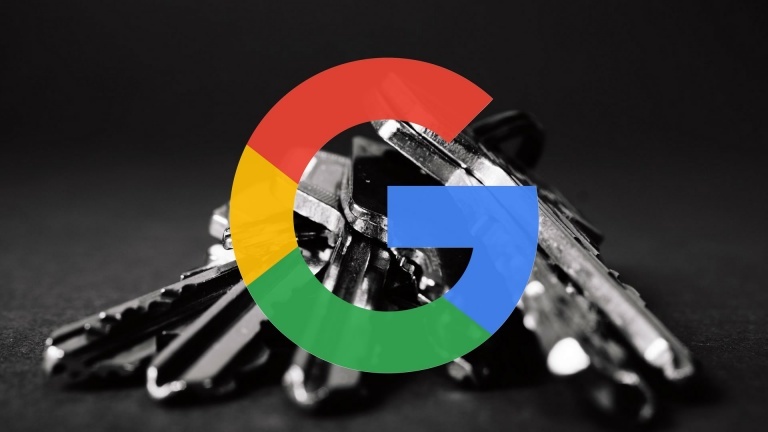 Google now has admitted that user data is being used to rank pages. Say for example someone clicks on a link to your page from Google. The site does not load quickly, or it loads partially. The visitor doesn’t get what they want. Then what do they do? They click the back button and tap on another search result. The more this happens, the more Google’s algorithms question whether your page is a good option for future searchers. You could have amazingly brilliant content, that due to technical speed issues, or an unfriendly mobile page, the user can’t read. Google’s sole purpose is to provide people with the best results for any given search query. When your page is slow, broken, or unreadable on mobile, your brilliant content is not as useful, in Google’s eyes. Your page will not rank well in search. As you drive traffic, build links, and get mentions on social media, your brand becomes more and more known. You are building site authority. The more authority you have in a given topic, the higher you will rank. More importantly, your job getting new content to rank gets easier and easier. You can build authority for one topic, or many. For smaller businesses or new websites, it’s recommended to pick fewer topics to begin with. Then expand as your site authority grows. It will be very hard for your solar panel installation business to rank for plumbing and windows. It will be much easier to rank for roofing and energy efficiency related topics. To summarize: it all starts with content. Great content leads to links. Your links should be natural and of the highest quality possible. Google understands the intent of what a user is looking for, and will get better doing so. So focus on creating content that serves a purpose. Website visitors are using mobile devices more often than not. So a quick loading, mobile friendly, and usable website is more important than ever. The better the user experience, on topic content and links, the higher site authority you’ll have. All these factors are key to building organic traffic. They will keep you one step ahead of your competition. And will future-proof your website from any of Google’s algorithm changes in 2018 and beyond.